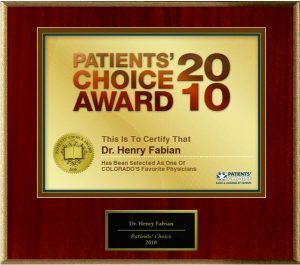 Henry F. Fabian Jr., M.D.’s care and dedication have earned a strong international reputation for treating patients with spinal disorders. 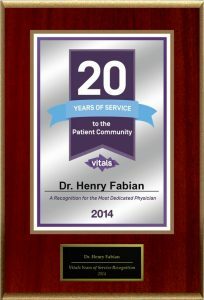 Since 2005, Dr. Fabian has traveled with the U.S. Ski Team, taking him from Kranska Gora, Slovenia to Bormio, Italy, all the while participating with the Winter Sports Club in beautiful Steamboat Springs. 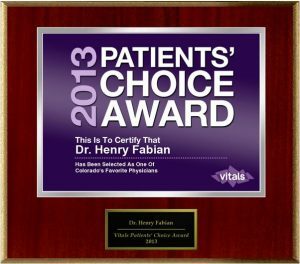 He has been a team physician for several professional sports teams and consulted with numerous world class athletes. 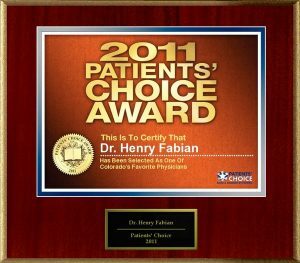 Dr. Fabian has been practicing medicine for over 20 years and has been award the Patient Satisfaction Award from 2010-2013. He is a fellow of the American Academy of Orthopaedic Surgeons (AAOS), and a board certified diplomate of the American Board of Orthopaedic Surgery (ABOS) and a member of the North American Spine Society (NASS). 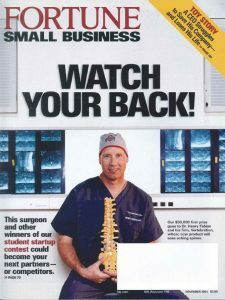 Dr. Fabian and Vertebration are announced 1st place winners in the Fortune Small Business competition. Read the article here. 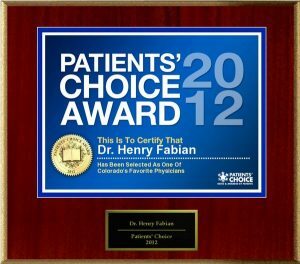 Dr. Fabian has been awarded the Patient’s Choice Award every year since 2010.